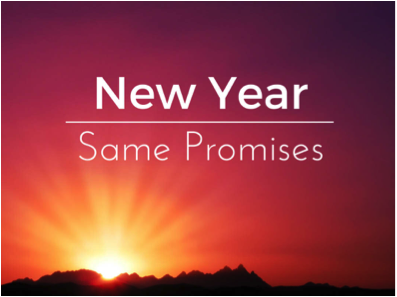 Pastor Heather AC Williams: New Year, Same Promises! "New Year, new you": this is the message that we receive this time of the year. We often respond by making resolutions and promises to change aspects of our lives. Promises that we often do not keep that lead to feelings of guilt. As a child of God I know that the promises I make and inevitably break, as I do not exercise quite enough, do not define who I am. It is indeed the promises of God that define me and help me live into a new year of new hopes and dreams. God promises guidance and wisdom for all who seek it; God promises saving grace that restores us to the way that leads to life; God promises a different way in the world one of justice and compassion. As embark upon the journey into 2017 may we do so focussing on the promises of God that are steadfast and life giving.